PORT ST. LUCIE, Fla. – The National Volleyball League (NVL) wrapped its 2015 season at the Club Med NVL Volleyball Academies at Club Med Sandpiper Bay in Port St. Lucie, Florida, with second seeds Skylar del Sol and Piotr Marciniak defeating back-to-back tournament winners and top seeds Dave Palm and Eric Zaun 21-19, 21-15. The victory marks Marciniak’s second title of the season after a win at the NVL’ s Madeira Beach Championships in April with partner Matt Henderson. In women’s action, it was number two seed Vivian Cunha and Raquel Ferreira overpowering number five seed Chara Harris and Brittany Tiegs in straight sets, 21-15 and 21-18, earning the pair’s fourth NVL title in 2015. 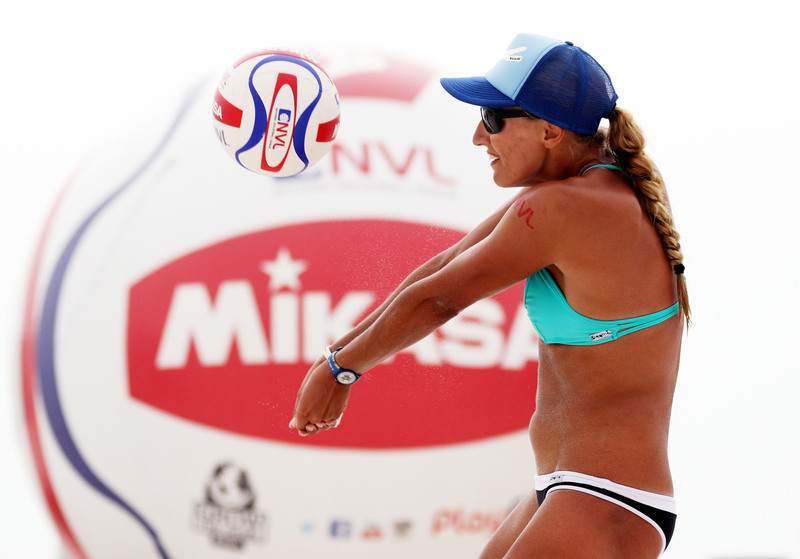 The tournament was held from September 25th – 27th and featured top beach volleyball pros from around the world, competing for a $100,000 prize purse. Port St. Lucie city officials Jeff Bremer, City Manager; Linda Barton, Vice Mayor and Shannon Martin, Councilwoman were honorary guests for the opening of the tournament, with Jeff Bremer tossing up the first serve. In conjunction with the pro tournament, the league hosted a Volleyball Vacation experience for fans with a weekend full of volleyball festivities, free clinics for all ages and open play with NVL pros. The Players Championships center court matches will be available to view free on-demand at the NVL Network. The tournament was the eighth and final stop of the 2015 NVL tour.